While still an ever evolving technical territory, emphasis on SEO (search engine optimization) methods are steadily growing in today’s online market. By focusing on some simple techniques and principles you can see your online initiatives grow. We offer training, reporting, and general knowledge on how to improve your site’s SEO with every project purchase. The vast majority of search engines work mainly through a process called indexing: this literally involves combing every word on every page of every website made available publically online. Once the engine’s indexing “robots” (or “spiders”) mechanism has retrieved your site, code and content, it is ranked based on a number of attributes. When a user searches for phrases and keywords, sites show up based on how they rank within these attributes. What are the main attributes that will rank my SEO? 1) Keywords – determining what phrases you want users to type in to find your business is crucial! 2) Links – both inbound and outbound. Showing you possess great knowledge of your industry by linking to valid resources (or by having them link back to you) can be a great SEO boon. 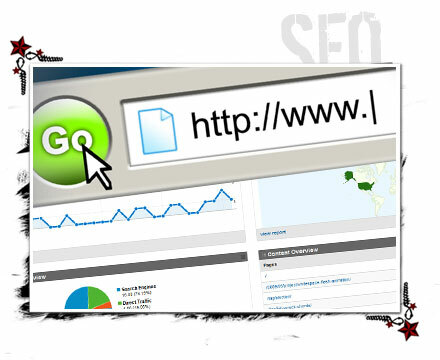 3) Content – the written content of your online marketing has the largest effect on your SEO. 4) Domain & Coding – having a domain, page titles and headings that relate to your message and properly coded pages improve your indexing time and therefore can improve SEO. A common myth is that modern websites can be improved simply by adding a “meta” tag or keyword-specific code at the top of your page. Originally, this was the case, but modern search engines focus on three main notions: how much content do you have, how recent is it vs. how old your site is, how does it relate to your message and your competition? Want to know how VectorDefector can help improve your SEO return? Contact us today!